My tiny little Priestess who has me racing for the champagne fridge every evening once you’ve fallen asleep ? Now I understand why my parents drink haha! Momma life is hard work. Give me a business to run any day of the week, it’s way easier! Nappies are new to me. Business is not. But Champagne has and always will be LIFE (particularly Verve Cliquot or Laurent Perrier Rose FYI). And in the midst of the chaos that is being a mom, being an entrepreneur, being a life-changing business and mindset coach, and embodying my Priestess power 24/7, there is tranquility. Somewhere in the madness of 3D human life, I always find serenity. Sometimes it exists at the bottom of champagne glass number two (or 3 or 4 let’s be honest), and sometimes it exists on my meditation cushion, but mostly these days, those moments exist in the in-betweens. The in-betweens are the seconds and minutes that are created as we shift gears throughout our day. From morning routine, to evening routine, between appointments, feeds, nappy changes, clients, and pauses to nourish myself, those in-between moments are a window to my presence, check points at which I can ensure I am embodying my Soul truth and flying full force towards my Soul Destiny. Consciousness at such a high level never used to be a part of my day to day reality, but it’s the most powerful gift I’ve bestowed upon myself since walking my spiritual path. It’s a gift I wish to bestow on you too, Soul Sister. Light Consciousness is a side effect of working with me in the Soul Sister Mastermind. The goal is usually money, for most. The end result is always magic beyond your wildest dreams. The journey of six months is transformational. You can expect to walk away a completely different woman with a completely different life. There is so much more to life than our routines, schedules, work, finances, and career. There’s even more to life than friends, and family, and relationships and all the #goals we stick all over the gram. 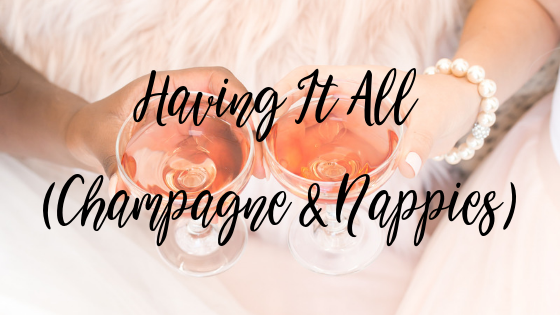 Champagne, and nappies yes. But the moments that exist in between the human-ness of 3D reality. Those are the moments you’re ready for. Applications closing soon. We start February 19th.